As I sat with my morning coffee, I pondered all that my heart was holding after a conversation with my friend the night before. I knew it was time to speak more, to risk, to ask for more. I sent a text asking if she had time for coffee…over the phone…an unfortunate reality of physical distance that makes popping over for a face to face conversation difficult. Yet this morning, the emotional distance my heart was feeling was so much heavier. I have thought much about the messiness and pain of relationships over the past year. As a deeply feeling, highly sensitive introvert, I am most “myself” when I am in intimate, close relationship with a few people. I don’t do surface well. And as I’ve come to embrace the goodness in my introverted self, I’ve also had to come face to face with the contempt I’ve held for what I’m reacting to. I’ve had to learn to let go of my judgment for interactions with others that are not deep, to risk not separating relationships into good or bad, real or fake, important or not. The truth is, when I am most myself, I am glorious and I am vulnerable. Standing there in that space, glorious and vulnerable, feels like standing in the middle of a battlefield with a huge target painted on my body. My attempts to protect myself by categorizing relationships as good or bad is simply that, an attempt; a flawed from the beginning grasping for connection and significance. One of my favorite movies of all time is The Princess Bride. In it, the Princess Buttercup (what a name!) says to the Man in Black (who she does not realize yet is her long lost love, Westley): “You mock my pain.” To which he replies, “Life is pain, Highness. Anyone who says differently is selling something.” I think there is Truth, capital T truth in that statement. Life is pain. And so all of my attempts to manage and protect myself from that pain keep me from True Life. Jesus said, “I have come that they may have life, and have it to the full.” (John 10:10) When I read the accounts of Jesus’ life and ministry, it is all too clear that he knows that Truth well: life, full life, is painful. And he is not afraid to name it, to call it what it is, and still remind us that it is the fullness of what he is offering. So this morning my friend and I lived fully. It was messy and painful. And it was beautiful and healing. After I hung up the phone I looked down where I was sitting, and saw the aftermath of our conversation. And I took a picture because I wanted to remember. I know I will need the reminder when I am tempted to believe that pain is avoidable and unnecessary. That’s what evil is trying to sell, and we don’t have to buy it. Your words this morning come clear…..bold and risky …..authentic even ! I too have found that living real often looks messy ….. a good connection with a friend can show up with a mound of used tissues…and I too find that “real”. Thanks Janet ! Yes, life is pain. Thank you for your words and vulnerability Janet. They spoke deeply to my heart this morning. Love you friend! Thanks Deanna. I love the places where we have connected at those deeper levels. I found my heart agreeing with your every word. Yes, life is pain and to speak more, to risk, to ask for more takes much courage. Thank you for your words. They are honest and inviting. I am grateful for the pain we have shared that has allowed us to experience the beauty in our friendship. Isn’t it crazy to say grateful for the pain? But I agree, it has also brought such goodness. Love you! As I read your title my mind went quickly to your recent surgery and the pain of that. No, you go much deeper into a pain that brings beauty and restoration when you risk. The truth is, when I am most myself, I am glorious and I am vulnerable….true words Janet. You are glorious and vulnerable. Your risk to live truthfully with the pain and share it so openly with us offers life. Thank you Janet for giving me a place to ponder my own relationships as a co-deeply feeling, highly sensitive introvert. Another deeply feeling, highly sensitive introvert…awesome! Thanks for your encouragement. Loved this, and I think we are kindred spirits. So glad it spoke to your spirit as well, I love how those connections happen! Dear, dear Janet – “when I am most myself, I am glorious and I am vulnerable…” I love this beautiful confession, and the picture — evidence that the spoils of battle can literally be a pile of crumpled tissues. Thank you for sharing today. Thank you Gina. Your words are affirming. Wow, Janet, so true. Your sharing is glorious and am grateful for your willingness to do so. This entry speaks to my heart for permission to allow pain in and to know “yes” it is going to happen. I don’t need to avoid my pain…I love your tender kindness for yourself here, Janet. You have given a beautiful pictured for my heart to remember. 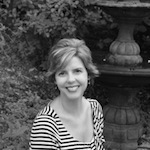 Janet – as a fellow introvert, I especially appreciated your story. Just last night, I was talking with a friend about my longer for a deeper connection with them, and the sadness it brought my heart to not experience that with them. To use your words, I felt both glorious and vulnerable. Glorious to be in touch with my own person and heart, yet vulnerable to recognize that their longings were not in sync with mine. I felt exposed yet grateful that I was able to simply sit in that moment and avoid judging wither of us as anything except different. Life, being fully alive, guarantees we will experience pain. 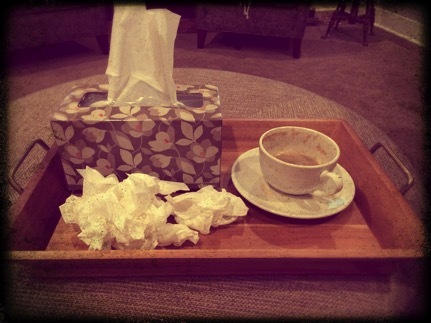 And thank you for the tissues pic – that keeps it so very real. Janet, life that is full, is painful. My my as I read this I see a brave woman who is not afraid to speak, live and invited us all into that truth. Thank you for sharing this, to know a fellow sister is struggling with pain and relationships makes me see I am not alone. Thank you so much for sharing, Janet. Your story sure hits close to home. My eyes were opened to the truth of my own struggle as you shared about “categorizing” relationships and what is behind that for you. Oh my…what a messy place…but that’s okay. I love the beauty in friendship that came from your willingness to risk.